What does the job entail? 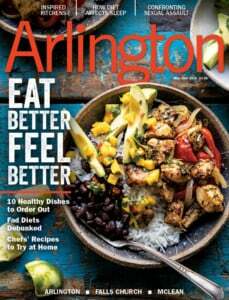 We asked Katherine E. Young, the first poet to hold that title in Arlington. 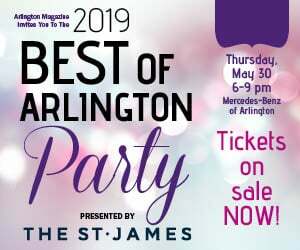 Résumé: As Arlington’s first poet laureate—a two-year, part-time appointment that pays a small stipend—Young is committed to writing four original poems, promoting poetry as an art form and serving as a judge for the county’s annual Moving Words poetry competition. Her book of poems, Day of the Border Guards, is set entirely in Russia and the countries of the former Soviet Union. A Poetic Memory: The Soviet poet Andrei Voznesensky came and spoke in Farmville, Virginia, where I grew up, when I was about 10. It was the height of the Cold War and the auditorium was packed. I remember feeling that poetry must be a very, very powerful force in the world. 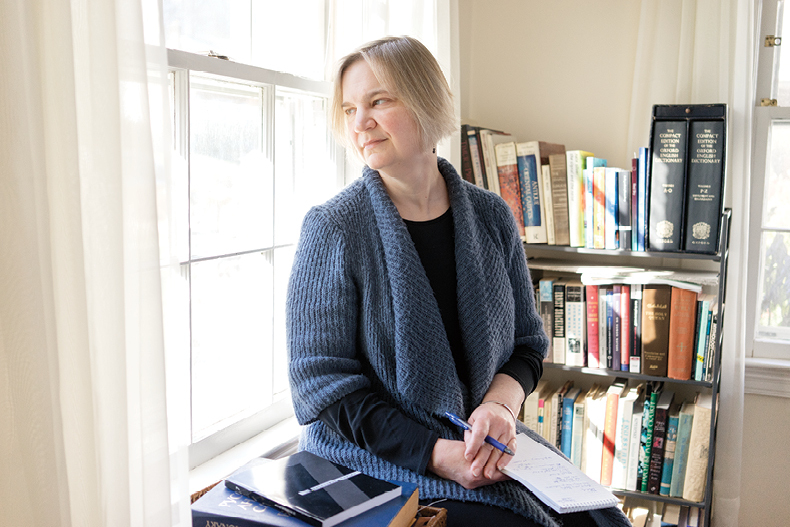 Travel and Transformation: I majored in Russian in college, but I didn’t start studying Russian poetry in any serious way until I was living in Moscow in the mid-1990s, when I found a teacher interested in reading the Russian poetic canon with me. Doing that work was very freeing in terms of how I thought about English. Found in Translation: I didn’t start translating for an audience until around 2009. There’s a really warm community of translators of Russian in the U.S. and around the globe; I feel lucky to be part of it. First Book: Day of the Border Guards was the culmination of my experience living in Russia. One poem is called “Speaking Russian.” It’s in fragments and phrases, like snippets of Morse code. That is intentional, to convey the difficulties of learning a new language. Reading and Recitation: The reader needs to slow down, think about the words and—even better—say them aloud to hear the music [in the verse]. Poetry is not an exercise in speed-reading! When I read to groups, I try to give listeners a little bit of context for the poems, but the poems should stand on their own. If they don’t, I’m not doing my job as a writer. Paper Craft: I have really bad handwriting, so for a while I did the computer thing and I found that it changed my process too much. I am seduced by type. It’s so beautiful when it’s coming out of the printer that I don’t even see the problems with the poem anymore. So I have very consciously gone back to starting the poems with pen and paper. Local Inspiration: I wrote a poem for the swearing-in ceremony for [Arlington County’s then-board chair] Libby Garvey. It starts with the native women who lived by the Potomac before Europeans arrived, and traces Arlington’s history in the work performed by women who labored on the plantations, raised families in the wilderness, started businesses, integrated the schools and now serve in so many public service jobs. Writing that poem was a completely new window into Arlington’s incredibly rich history. Finding Connections: Poetry is an ancient art form and, like all the arts, it connects the world we see around us to the spirit or soul within us, helping us make sense of both. I don’t write every single day, but I do read poetry every day, if only a single poem. When I find poems I like, I return to them again and again because they tell me something essential about myself and my world. the might of the universe. to clip back its solo.